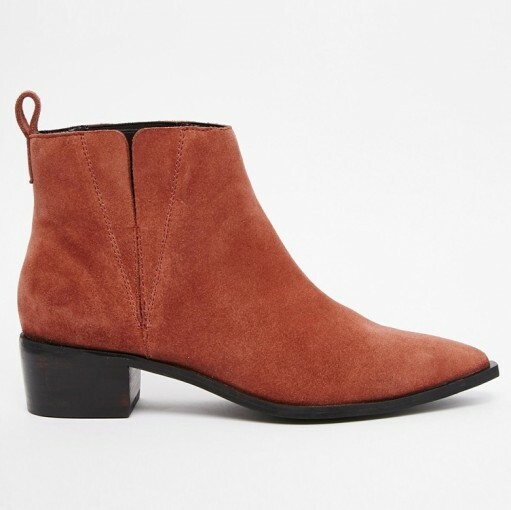 I love the colour of these nubuck boots from ALDO. 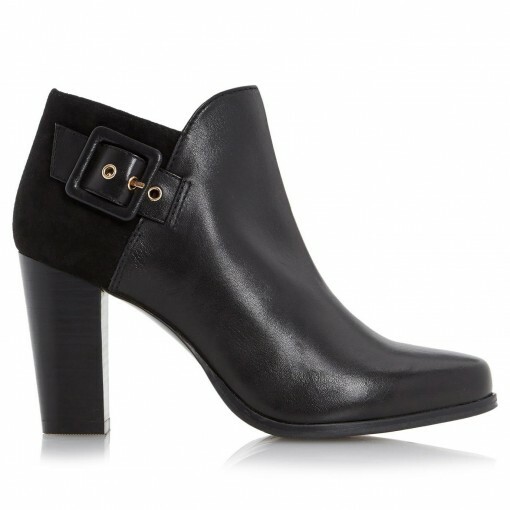 These would look amazing with a mini-dress and a golden tan. 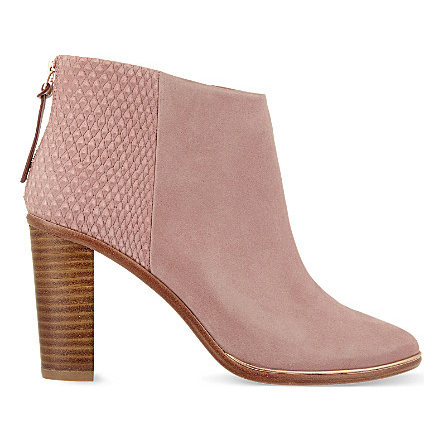 I love everything about these dusky pink Ted Baker boots. 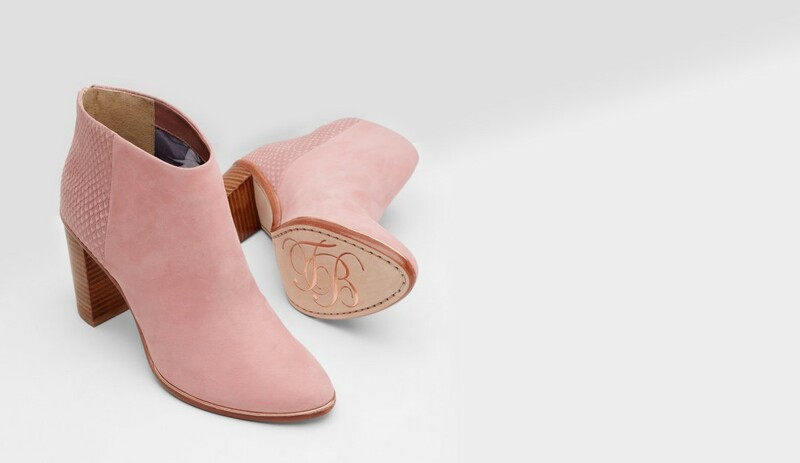 Fashioned in soft suede and snake-embossed leather, this elegant pair is finished with a wooden-look block heel. The neutral tone would work with so many outfits and the gold details and wide slit on each side give them an edge. Yes, I know the peep toes are impractical for the UK weather and it would have to be a cab only night out for me wearing a heel that high but I love them! 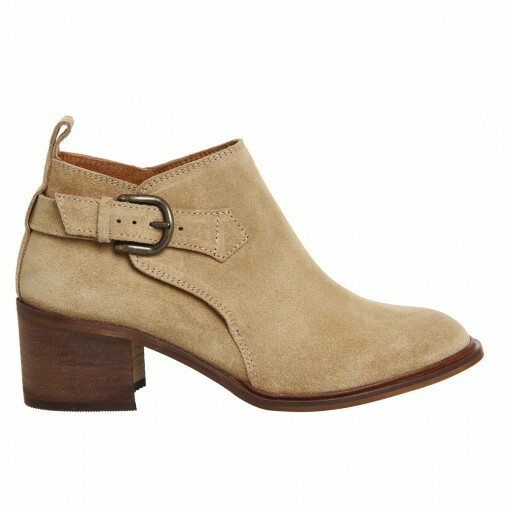 The small heel and beautiful brown suede would make these boots a wardrobe staple. 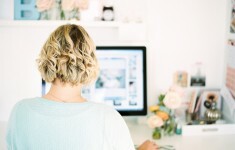 I’d team them with indigo denim and a messy top knot for effortless style. Michael Kors combines soft suede with a slim wedge, designed to add modern elegance to off-duty wardrobes. 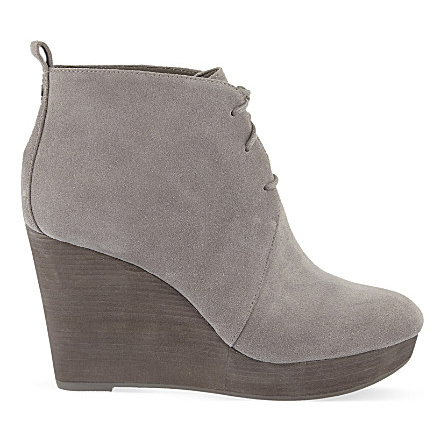 I like the casual feel of the lace up front and the low cut shape around the ankle is super flattering. 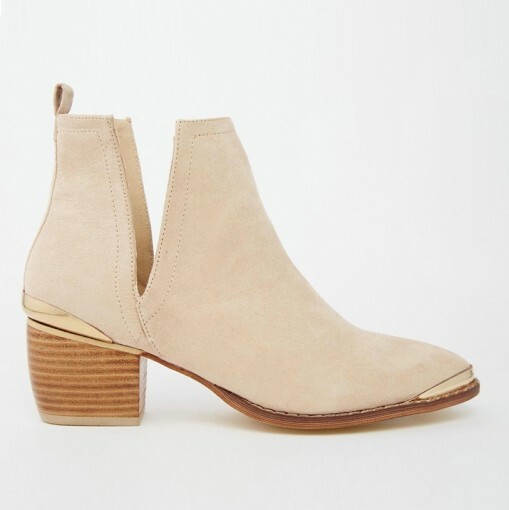 With an almond shaped toe, side zip fastening and suede panel these boots from DUNE look super smart and would be a great addition to a “work” wardrobe. 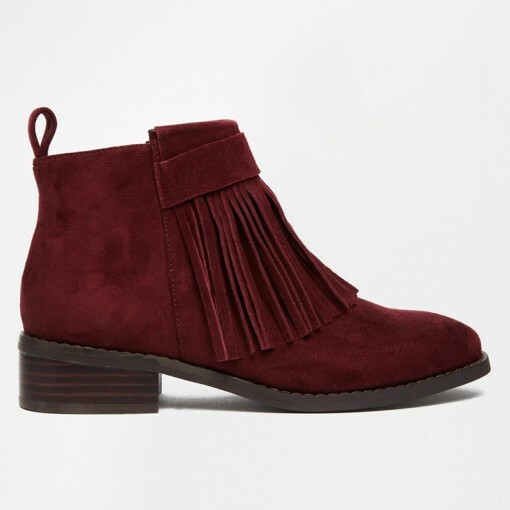 These deep burgundy fringed boots are so cute! Another bargain from ASOS.